Welcome. I am Howard Shifke. Here’s a little bit about me. I was born in Miami, Florida on March 23, 1961. In 1983, I graduated from college and in 1986, I graduated from law school. On October 16, 1988, I married Sally, and we have three wonderful children. In 2016, Sally and I moved from Tampa, Florida to Warren, Oregon. 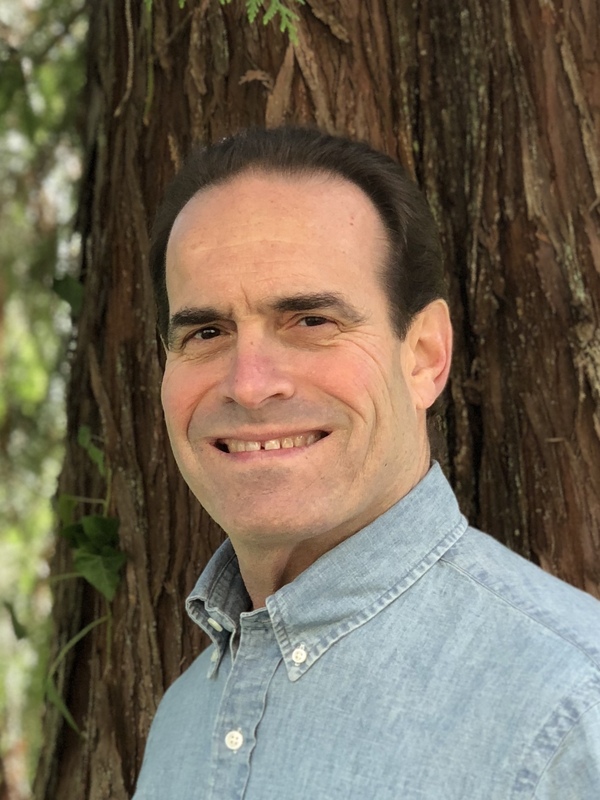 Over the years, I have studied many holistic healing modalities, including Traditional Chinese Medicine, Qigong, Acupressure, Soul, Mind, Body Medicine, Jin Shin Jyutsu, and many meditation techniques. As a result of these healing modalities being successful with health concerns of my family and friends over the years, I grew to have great confidence and faith in their ability to cure disease. In September of 2009, I realized that I probably had Parkinson’s Disease. My mother had Parkinson’s for 24 years before she died, and I was pretty much certain I had it. I started getting internal tremors and when I looked them up on the internet, each site was about Parkinson’s. After going to multiple web sites all of which listed Parkinson’s symptoms, it was impossible for me to deny that I had every symptom on every list from every site. On November 5, 2009, I received my Parkinson’s diagnosis from my neurologist, a Parkinson’s specialist. When my Mother got Parkinson’s at age 48, young onset Parkinson’s was not common. She was misdiagnosed and given medications for a few different diseases prior to being diagnosed with Parkinson’s. In fact, it was her positive response to the initial Parkinson’s medications that ultimately resulted in her Parkinson’s diagnosis. She fought a long and valiant fight, but in the end, it seemed like the drugs took their toll and played as much a part in her passing as did the disease itself. I am fortunate to have learned from her experiences and her courage, and I am fortunate that her Parkinson’s specialist, who is located in Tampa where I used to live, became my Parkinson’s doctor. Six years after my Parkinson’s recovery, Sally and I moved to Oregon. When I received my diagnosis, I was not in denial that I had Parkinson’s. However, I did deny that I had to just accept the disease and that there was nothing I could do to recover. I decided to embrace Parkinson’s from a completely holistic perspective, listen to what my body was telling me, and take responsibility for my recovery. It is important to begin with my philosophy of Parkinson’s Disease so you can understand why I feel I got it and how I approached getting rid of it. Without this background, much of what I did will make no sense to you. As you can see, in order to believe that these are the causes of Parkinson’s, to an extent, I had to take personal responsibility for having the disease, which leads to taking personal responsibility for recovering from the disease. Yes, there are other factors…my Mother had Parkinson’s for 24 years before she died, I was exposed to numerous environmental factors as were most of us who grew up in the 1960’s and 1970’s, and I ate a tuna fish sandwich for lunch at school every day from grade 1 through 12 (mid-60’s-1979, so I would have to say I have ingested more mercury than most)…these are the things that made me more prone to the disease, but I feel it was the three above-listed factors that allowed the disease to grow inside me for a long time until it reared its ugly head in September of 2009. In March of 2010, after six months of fighting the disease and a certain amount of frustration in not finding others who wanted to embrace it from a holistic perspective, I started writing my blog to help others and to see if there were others who could help me. My first three months of blog posts focused on what I was going through struggling with the disease as it was happening. I had no idea when I started the blog that three months later I would be symptom free. Regarding the blog, and now this web site: Why the name Fighting Parkinson’s Drug Free? When researching Parkinson’s, I read an article where the author wrote that cancer sufferers have the attitude that they will fight and defeat their disease, whereas Parkinson’s sufferers just accept their disease and make the most of it. 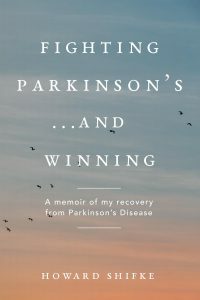 I knew that if I wanted to recover from Parkinson’s, I would have to fight it. Please remember, whether you are fighting Parkinson’s without medications or fighting Parkinson’s with medications, everybody is welcome here! On June 12, 2010, I was symptom free from Parkinson’s. On August 5, 2010, my neurologist confirmed that much to his surprise, he could not detect a single Parkinson’s symptom. On December 22, 2011, my neurologist confirmed in my medical records that I did not have Parkinson’s anymore, “This gentleman for 2 examinations in a row does not have signs and symptoms of Parkinson’s disease.” I remain symptom free from Parkinson’s Disease. I have spent my time since recovery updating my blog to continue to help others and answer their questions and concerns. Also, I have been doing one-on-one coaching of Parkinson’s sufferers to help them with the recipe for recovery and to help them keep the faith that they are on the right path. Fighting Parkinson’s Drug Free shares with you what I did to recover. However, I cannot guarantee that if you do my recipe for recovery, you will recover just as I recovered. Everybody who suffers from Parkinson’s suffers in a different way. If you want to try my recipe for recovery, I recommend you let your doctor know what you are thinking about doing. I am not a doctor, and I am not advocating you do anything that you and your doctor have not discussed. I would not have been able to fight this disease and recover without the love of my wonderful wife and children, as well as my extended family and friends. I have many blessings in this life, and I feel that Parkinson’s was just a roadblock…not an immoveable object. I hope to inspire and empower you to see it the same way.